I am beginning this blog post in the solarium of a lovely lodge that would make a great place for a writers' retreat. Unfortunately, last night I was so into this place and its wonderful writer retreat possibilities, that I totally forgot about writing this Time Management Tuesday post. And, thus, I am a day late. 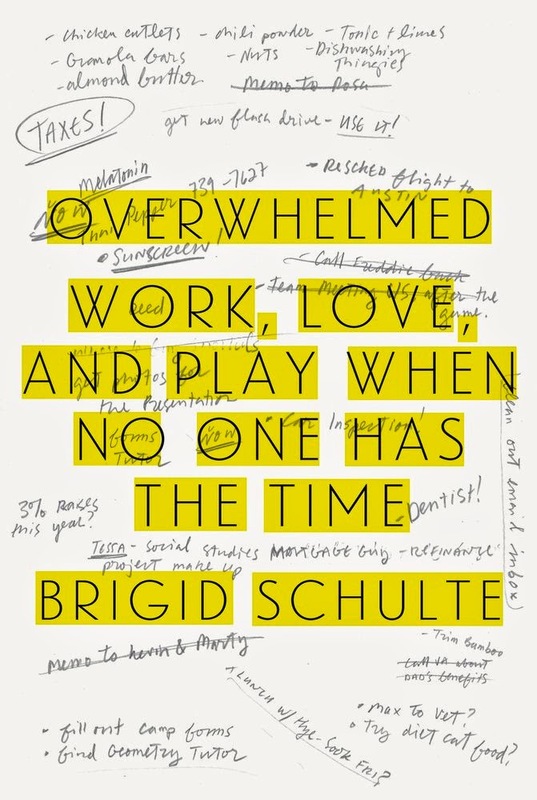 Okay, reading Overwhelmed: Work, Love, and Play When No One Has The Time by Brigid Schulte was a fascinating experience because of the very different ways she and I look at the time issue. She is interested in support. I am interested in skills. At the end of her book, Schulte briefly covers some of the things she's doing differently now to help her manage time. She talks about "pulses," for instance, which are similar to the units that many time management people recommend. She describes the Pomodoro Technique in a footnote. What About John Robinson And Leisure Time? Another fascinating part of reading this book is that it didn't cover what I was looking for. What grabbed my interest in the articles I read about this book was Schulte's coverage of John Robinson's contention that we have far more leisure time than we think we do. Schulte's response to that was that the time he claimed was her leisure time didn't feel like leisure time. When my children were young, I, like so many other mothers in my town, took them to the local beach in the summer for a couple of weeks of swimming lessons. For at least one year when they were in grade school, we'd hang out at the beach for hours, eating lunch, reading magazines (in my case), catching minnows with nets, digging in the sand, and planting all kinds of plastic tubing brought from home. I saw the swimming lesson hangout as being the closest I'd ever come to owning a lake house. It was like going away. After reading Schulte's book, I realize that many woman would have perceived those days as childcare, since, technically, I was supposed to be taking care of my kids. For those women, it would have just been more work. Why does how that time was perceived matter? Because the parent who sees hauling two boys, lunch, towels, sunscreen, magazines, shovels, buckets, and leftover construction pipes to the lake as a glorious summer getaway is going to go home feeling as if she's been on vacation for the afternoon. That will have an impact on how she's able to use the rest of her day. The parent who sees hauling two boys, lunch, towels, sunscreen, magazines, shovels, buckets, and leftover construction pipes to the lake as childcare/work is going to go home feeling overwhelmed. And that will have an impact on how she's able to use the rest of her day. And The Writing Connection, Gail? I'm not sure. But if I've got 30+ hours of leisure time that I don't realize is leisure time, I'd sure like to be able to repurpose some of it for work. I suspect many other writers would, too. I'm thinking that I want to try to find more on John Robinson, who has been taking a bashing over his spin on women and time. And when I get back from vacation, I may try to keep a time journal. If I have the time. Speaking of vacation, I am finishing this blog post while looking out at the mighty Monongahela River outside of Pittsburgh. Yes. That's leisure time. I own it.